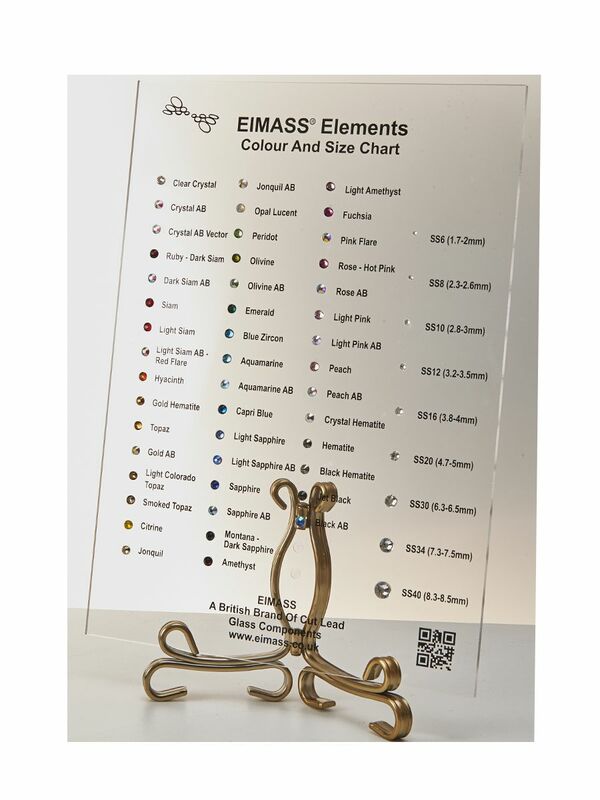 New transparent EIMASS colour chart is a comprehensive guide to ordering EIMASS world class flat back crystals. The colour charts has actual stones so customers know what they ordering. If you are a business then it is even more essential to show your customers the quality and colour of stones they will have on their projects. This colour chart represents our Grade A 7787 and 7747 range. Colour chart stand is not included. EIMASS stones can be used in a number of projects such as embellishing clothes, costumes, bags, shoes, dresses, cards, wedding invitations, personal items such as mobile phones, laptops and anything that you could imagine.